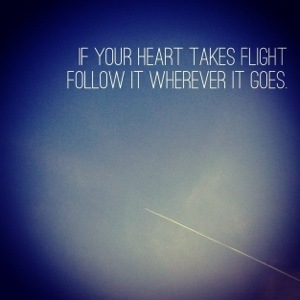 and follow it wherever it goes. you should trust in all it knows. and listen to the beat.